How much is Sam Bowie Worth? 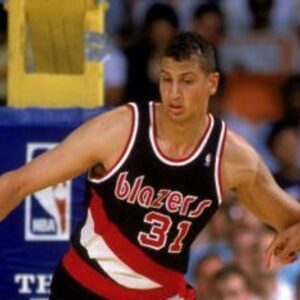 Sam Bowie Net Worth: Sam Bowie is a retired American basketball player who has a net worth of $3 million. As a 7'1″ and 235 lb center, he spent ten seasons in the NBA. Born Samuel Paul Bowie on March 17, 1961, in Lebanon, Pennsylvania, he earned his first accolades for his basketball skills at the Lebanon High School. At the time, he averaged over 28 points and 18 rebounds per game, after which he was named a McDonald's All-American and Parade All-American. He continued to play college football at the University of Kentucky where he averaged 12 points and 8 rebounds per game as a rookie. During his sophomore season, he averaged 17.5 points and 9 rebounds per game. 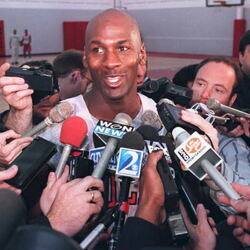 Sam Bowie is probably most famous for being drafted one position AHEAD of Michael Jordan. Bowie was selected by the Portland Trail Blazers as the second selection in the draft behind Hakeem Olajuwon (ahead of Jordan). His professional career was blurred by recurrent injuries to his legs and feet. As a pro, he was active from 1984 to 1995, playing for Port Trail Blazers (1984-1989), New Jersey Nets (1989-1993) and Los Angeles Lakers (1993-1995). During his career, he averaged 5,564 (10.9 points), 3,845 rebounds (7.5rpg) and 909 blocks (1.8 bpg) per game. He hit 45.2% of his attempted field goals and 30.2% of his 3 point shots.